1.6 How is SuperX and Linux related? SuperX is not just an operating system, it is a technological representation of a philosophy. SuperX is a propagator of Free and open source Software. Most of the software made today focus on commercialization and not the users who actually uses it. It results the software vendor controls the user as they make license agreements that gives the software developer total control over their users. When users don't control the software, the software controls the users. The developer who controls the software, through it controls the users. This is called “proprietary” software is therefore an instrument of unjust power. This means the developer is actually controlling the user. The user has no freedom. Proprietary Software is an injustice to humanity, is our philosophy when it comes to proprietary software. Proprietary software might have back-doors that can steal private information of the user without the user even noticing it. This a form of digital colonization , and using such software makes the user a victim of it. The user is virtually a slave of the developer. Also some companies even restrict users to download and use only the applications from their online application store. This is like baby sitting he user. Just consider an example: you are buying a car and the car vendor is telling that you can only refill gas (fuel) in their gas station (fueling station) and think the worst scenario even filling up flat tyres or anything you need to change in that car can only be done in their garage and those changes which are actually to be given free or of low cost are charged so high that nearly in a year the cost of upgrades and tweaks exceeds the cost of the car itself. As per Free Software Foundation, “Free software” means software that respects users' freedom and community. Roughly, it means that the users have the freedom to run, copy, distribute, study, change and improve the software. Thus, “free software” is a matter of liberty, not price. To understand the concept, you should think of “free” as in “free speech,” not as in “free beer”. We sometimes call it “libre software” to show we do not mean it is gratis. Libresoft Technology Pvt. Ltd. is a privately held company based in Guwahati, Assam in India. Libresoft leads the SuperX Project. Libresoft was founded by the original developer of SuperX and now it is a blooming startup which provides services and enhancement relating to SuperX and other open source software to enterprise customers. Linux is an operating system kernel and is one of the core components of SuperX. It is responsible for managing hardware and software resources available. It is also a common noun, which refers to family of operating systems which uses the Linux kernel. Whenever we refer to "Linux" in this wiki, we refer to SuperX and other operating system based on Linux in a generic sense. How is SuperX and Linux related? This section of the guide will focus on giving users a clear idea of SuperX. 1. Click on the button on the left hand side of the Panel to launch the App Launcher. 2. 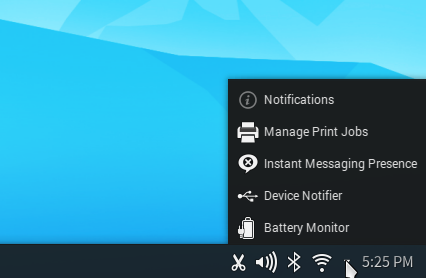 The App Launcher has three tabs, Home, Applications and Power. 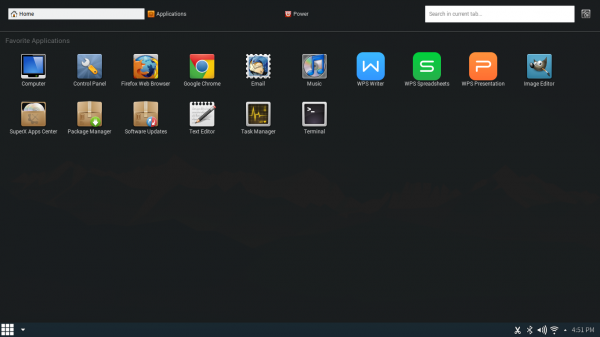 Home Tab: The home tab shows your favorite applications and recent documents. 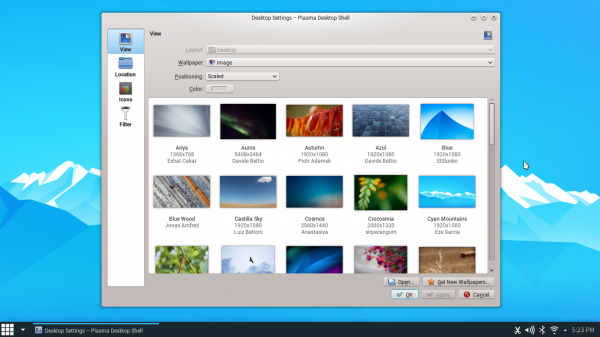 Applications: The application tab shows all your installed applications in a categorized manner. 1. 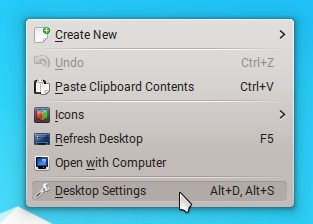 Right Click on the desktop, and Click Desktop Settings on the right click menu. 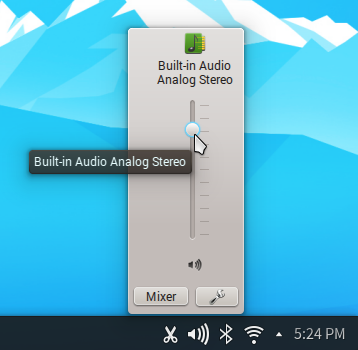 To change the system volume, click on the speaker icon. 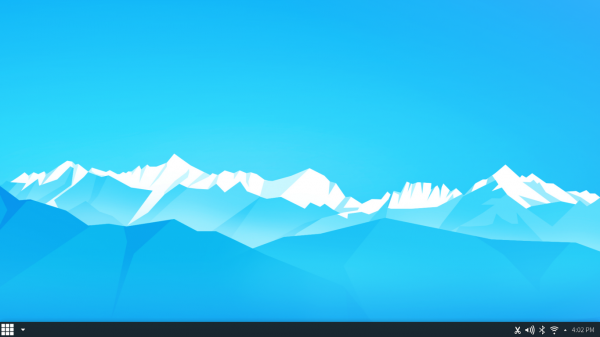 A vertical will pop-up as shown in the image below. Drag the slider up or down to increase or decrease the volume. The clock and the calender sits on the far right side. 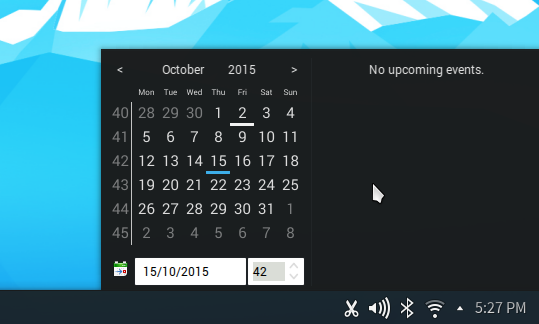 Clicking on the clock shows the calender, the calender highlights holidays and other important days. 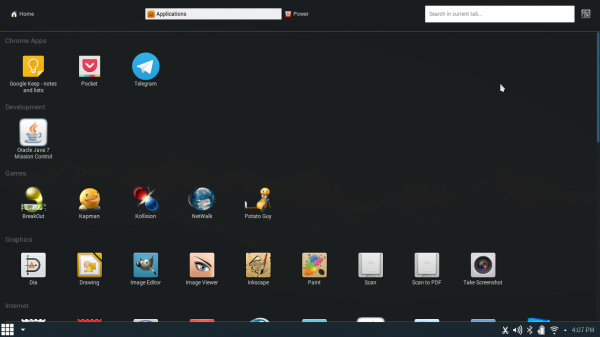 Home folder is the primary folder of the user system.